We have been crafting many pieces of jewelry using interesting coins as the centerpiece. We recently wrote a blog about new coins we are obtaining to continue our series of coin jewelry as art. In this blog want to show you some of the pieces we have made in the past to highlight some of the possibilities of jewelry that can be made from coins. If you have inherited an old coin or have a passion to obtain one, we can turn it into a fun piece of jewelry that can be worn on a daily basis. Here are some examples of coin jewelry we have created. 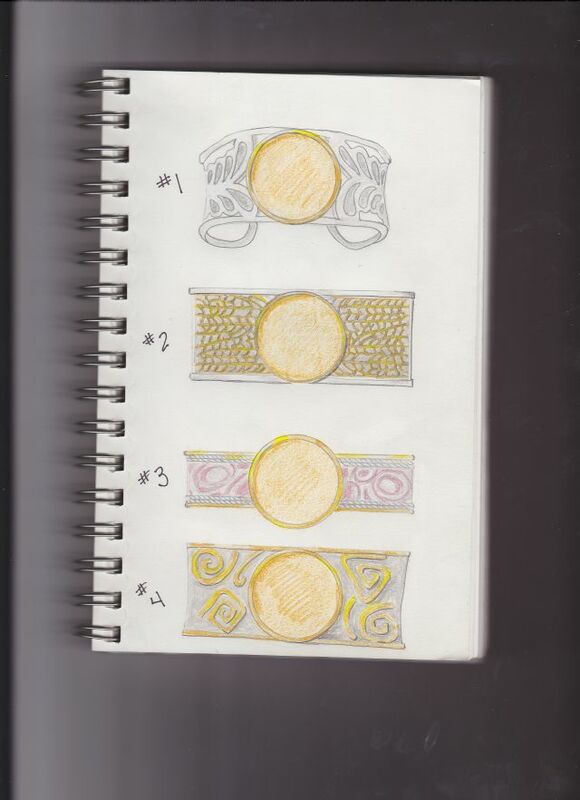 Bracelet designs for a large coin. 10 dollar gold piece in 14k yellow gold. Drachma coin set in men's gold ring. Athena pictured on back of coin. At Richard Dolgin Private Jeweler in Overland Park Kansas we have enjoyed creating many unique pieces of coin jewelry in the past and look forward to working with you on your coin jewelry as art.